Previous postFriday letters: Hello November! Never been to Austria but I do remember those books! Looks beautiful! It looks lovely, and very quiet. I loved the Chalet School books too! It is pretty quiet… especially on holidays when everything’s closed! I wonder how many towns there are in Southern Germany and Austria called “Feldkirch(en)”. Probably 200! Loads I should imagine! There’s an area of Karlsruhe called Kirchfeld. beautiful! I always forget how dumb attractive Austria is. Austria is beautiful!Great that you had such a good time and got to see your friends. Thanks for sharing the cool pictures! We drove there three times. The first one to see him as a foal, then again when he came down from the alp and the third time we took him home with us. 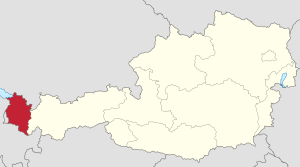 I love Austria too, and I especially love the dialect. The dialect is really cute… but hard to understand!